Paper money was used for the first time in 1690 in the colony of Massachusetts. Idea: Children could debate the pros and cons of using paper money as opposed to coins. They can visit the Bureau of Printing and Engraving site: Paper Money. Challenger STS-41-B lifted off into space in 1984. The crew included Robert Gibson, Vance Brand, Ronald McNair, Robert Stewart, and Bruce McCandless. Stewart and McCandless became the first people to move freely in space without tethers. They were able to move about by using backpack jets. Discovery STS-63 lifted off into space in 1995. 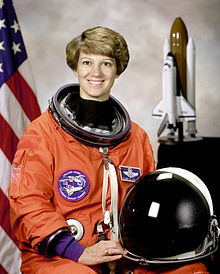 On this mission Eileen Collins was the first woman pilot of a space shuttle. Discovery docked with the Russian space station Mir. Children can learn more about Eileen Collins at: Eileen Collins. Horace Greeley (born Amherst, New Hampshire, 1811; died New York, New York, November 29, 1872) was a journalist and an anti-slavery advocate prior to the Civil War. He started the New York Herald, and he encouraged settlement of the west. He is known for his statement, “Go west, young man.” Older children can read some of his works at: Project Gutenberg. Walt Morey (born Hoquiam, Washington, 1907; died Wilsonville, Oregon, January 12, 1992) wrote fourteen books for children. Many of his books centered around conflicts/relationships between people and animals. He also wrote survival stories. Two of his most famous works are Gentle Ben and Kavik the Wolf Dog. Felix Mendelssohn (born Hamburg, Germany, 1809; died Leipzig, Germany, November 4, 1847) was a pianist and a classical composer. He was playing in concerts by age nine and was performing his own compositions by age eleven. One of his most famous pieces of music is Wedding March. James Michener (born New York, New York, 1907; died Austin, Texas, October 16, 1997) was a novelist. His book of short stories, Tales of the South Pacific, published in 1947, was the basis for the musical, South Pacific. The book won the Pulitzer Prize for fiction in 1948. Other works are Hawaii and Texas. Visit the Michener Museum website that provides a virtual field trip regarding his life at: James Michener. Joan Lowery Nixon (born Los Angeles, California, 1927; died Houston, Texas, June 28, 2003) wrote 102 books for children. One of her most well known works is the series A Family Apart, published in 1987. Children can visit a website at: Scholastic. They can also learn more at: Joan Lowery Nixon. Norman Rockwell (born New York, New York, 1894; died Stockbridge, Massachusetts, November 8, 1978) was an artist. He is probably most famous for his illustrations for the covers of the Saturday Evening Post. Idea: Students could view some of his works. They could list the works’ qualities that endeared him to so many other people. Children can view some of his works and enjoy a timeline of Rockwell’s life at: http://www.nrm.org/. Gertrude Stein (born Allegheny, Pennsylvania, 1874; died Paris, France, July 29, 1946) was a writer and friend to many avant-garde artists. She is famous for her saying, “A rose is a rose is a rose.” Older children can read some of her work at: Project Gutenberg.